Red Nose Day 2013- Baking For Comic Relief. 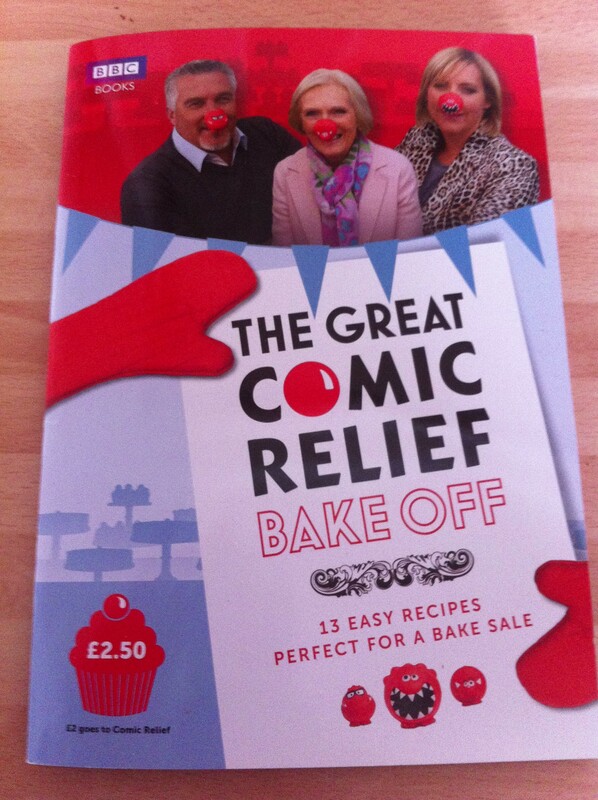 The Great Comic Relief Bake Off Book. Cost £2.50 with at least £2 going to Comic Relief. As I type it is Sunday night and it’s two days after Red Nose Day 2013. I had been ill last week with a heavy head cold and had also been off work looking after my sick children. Unfortunately this meant I could not get involved in any special Comic Relief Day fundraising activities. This made me feel upset as I do like to contribute in any way I can. As a baker I like to donate my cakes to local fundraisers but late last week I had no energy to do anything except to sit on the sofa reading my Kindle or snoozing! I looked back and thought well actually I have bought some Comic Relief things and my children took in some money to school as part of their non uniform day. I intend to make a donation as well. 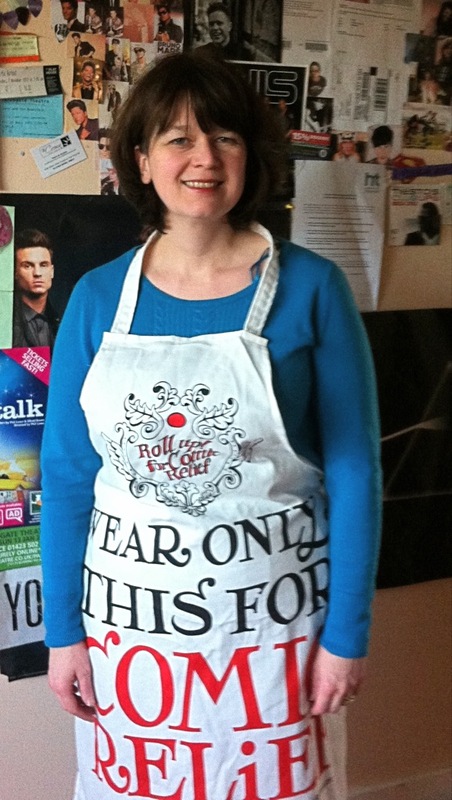 I treated myself to one of these fab Comic Relief aprons from TK Maxx. They were designed by Emma Bridgwater and has been worn a lot already in the past month. 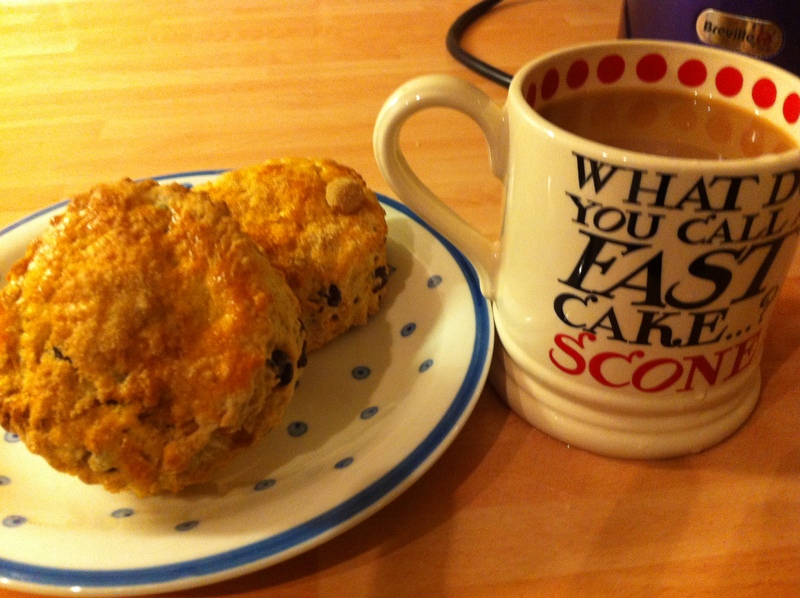 To go with my apron I also treated myself to an Emma Bridgwater mug. I love drinking my morning cuppa out of it, it’s perfect for hot chocolate as well. A couple of months back it was great to watch the Great British Bake Off back on our screens again with celebrities taking part in the Bake Off instead of the regular contestants. I really enjoyed the Comic Relief Celebrity Bake Off and chose to buy the fundraising booklet from my local Sainsburys the next time I was in town. Sadly none of the celeb’s recipes were in the book but it contained 13 recipes previously found in the previous three GBBO publications. I still bought the booklet as I thought it was useful to have and the money was in aid of Comic Relief. Last Tuesday I was at home looking after my two ill children. My daughter hadn’t eaten anything as she had a tummy bug but my son had a heavy cold. His appetite was still there though and he kept begging me for biscuits, etc. I was feeling a bit rubbish myself but it wasn’t until later when I went out walking my dog when I started to feel rough. In the end I thought about making some brownies and some cookies as they were quick and easy and wouldn’t take much effort on my part. First up was the Chewy Gooey Brownies. In the recipe book you can add nuts to these but I put some left over mini fudge cubes into the mixture which were from a tub I had bought in Lakeland a couple of months ago. I had noticed that the tub was open and some had gone missing so I thought well I might as well chuck the rest in. There wasn’t anything on the side of the packet which said I couldn’t put them in something that needed cooking so in they went! The brownies were very gooey and gorgeous. They did not last long as my son and hubby kept eating them. Had I made them for a fundraiser they would have been very popular, I’m sure! Chewy, gooey brownies. 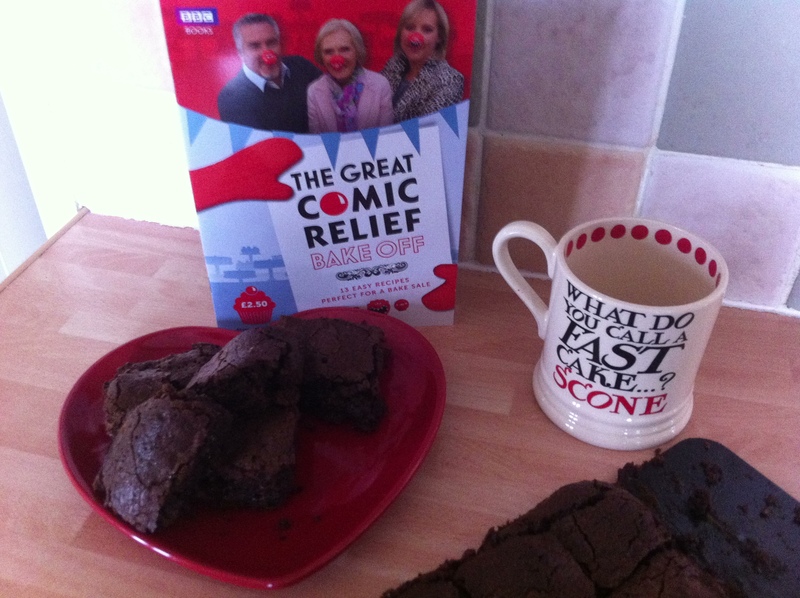 The recipe is featured in the Comic Relief Bake Off book. The other thing I chose to bake from the Comic Relief Bake Off book was the Atzec Cookies. I remember seeing the original recipe in the book “How To Turn Everyday Bakes Into Showstoppers” and wanting to try them. 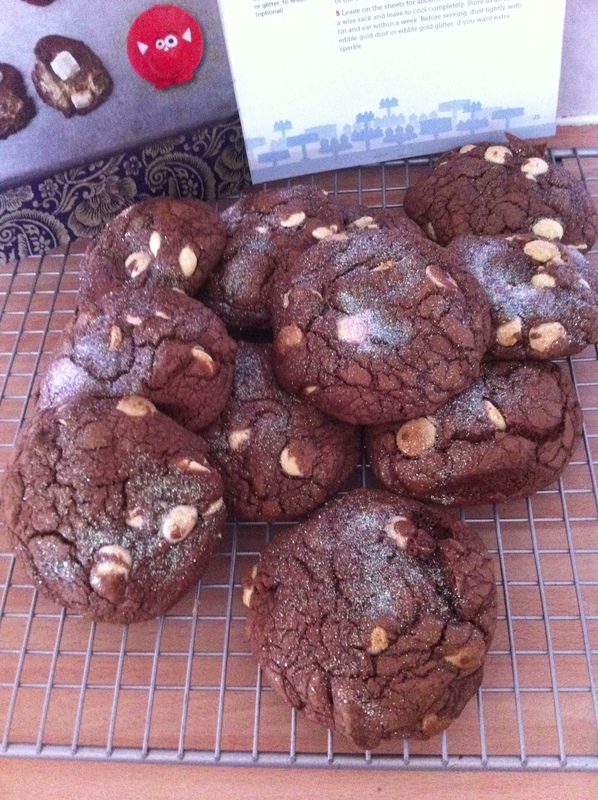 The recipe called for coffee flavoured chocolate which I hadn’t got and also to sprinkle the finished cookies with gold lustre dust. As I had used up my gold lustre dust at Christmas I decided to make my own version. The other day I had treated myself to some chocolate buttons from the wonderful Heaven in Ripon which is a chocolatier and cafe in the Market Arcade. The owner said the chocolate buttons could be used to make hot chocolate, could be melted down or used like chocolate chips in cookies. I bought a bag of white chocolate buttons and some dark ones and tried them out in the Atzec Cookies recipe. I dusted them with a light sprinkling of edible glitter. 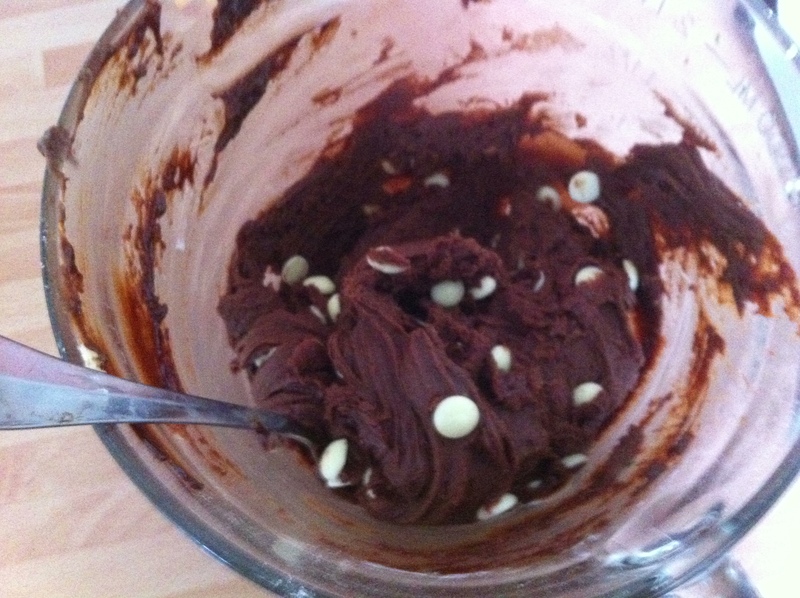 Mouthwatering chocolate cookie dough with the gorgeous white chocolate buttons bought from Heaven in Ripon. Atzec Cookies using melted dark chocolate buttons in the dough but mixed in whole white chocolate ones. Absolutely delicious according to my family! Previous Post St Patrick’s Day Cookies and Cakes.